Johannes B. Spit startet working for HEEMAF (N.V. Hengelosche Electrische En Mechanische Apparaten Fabriek) in 1928 at the age of 23. Johannes Spit worked as an apprentice to Mr. Ir. H.A.W. Klinkhamer. Mr. Klinkhamer was the inventor of the SKA Motor (Special Squirrel Cage Motor). This motor was a simplified version of the traditional electrical machines at that moment in time. The reliable and energy-efficient design made HEEMAF a world leader in electrical machines. After Mr. Klinkhamer left HEEMAF in the early 1930’s, Mr. Spit moved to the research and development departement of HEEMAF. His main focus of research was the reliability of rotating electrical machines. For HEEMAF he traveled the world to investigate the root causes of premature failures of the HEEMAF motors. In 1934 Mr. Spit became the group leader of the service departement of HEEMAF in Hengelo. 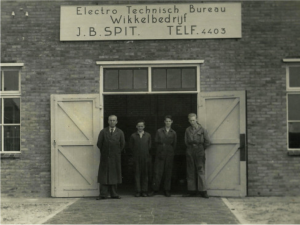 The textile industry was a very prosperous business in that moment in this region of the Netherlands and Mr. Spit’s entrepreneurial spirit led him to the decision in 1937 to start his own business as a small motor repair shop in Enter. Directly after the second world war Spit moved his company from Enter to Almelo. The company grew steadily and in 1964 Mr. Han Ent became an employee in the company as a motor rewinder. With his customer focus, drive and ambition the company grew nationwide getting larger customers. The company introduced the use of power electronics as integral part of the service-offering. Mr. Spit became at age and in 1970 Han Ent took over all the shares from Mr. Spit. 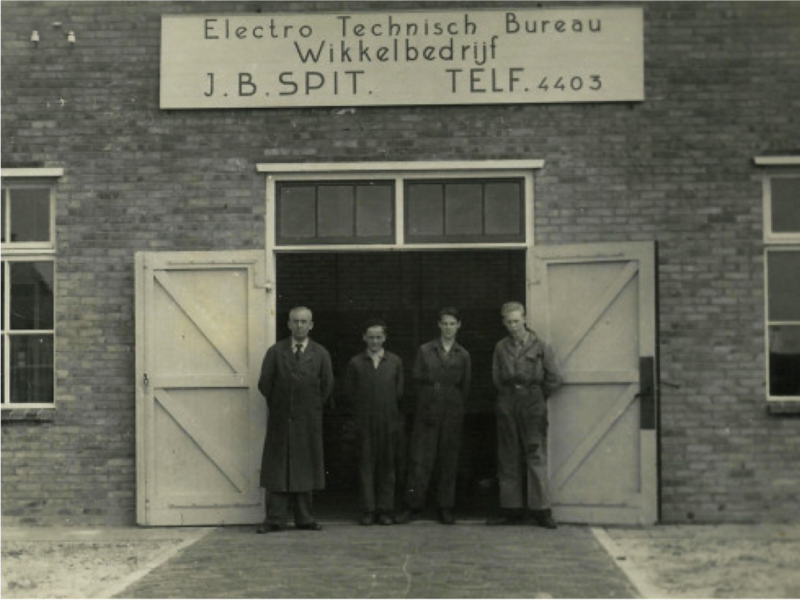 Han Ent invested not only in the electrical department but also in the mechanical skills of the company; SPIT was one of the first motor repair shops in the Netherlands with their own dynamic balancing machine. The early seventies where quite challenging for the company since the oil-crisis changed the economic landscape throughout Europe and the production of textiles moved to Asia. The company focussed on various industries in stead of focussing on mainly one. SPIT never changed that philosophy and up to today we serve a large and various industry base. In 1992 the current owners of the company, Mark Ent and Martin Hemmer, came to the company. Mark as a junior Sales engineer and Martin as software engineer. The company grew steadily with two youngsters backed by the experience of Mr. Ent Sr. In 1997 they took over the company Koning Elektrotechniek & Motoren BV in Apeldoorn. Koning was specialised in the Pulp & Paper industrie. In the beginning of 2001 SPIT took over a large part of the former GEHA Breda. In 2008 Mr. Han Ent sold his shares to Mark Ent and Martin Hemmer. In 2012 SPIT moved their Almelo Branche to the current location. This site brings new growth possibilities and expansion of the workscope.